Today at the Barclay’s Center in NYC, Samsung held their Samsung Unpacked Event, unveiling the new Samsung Galaxy Note9. 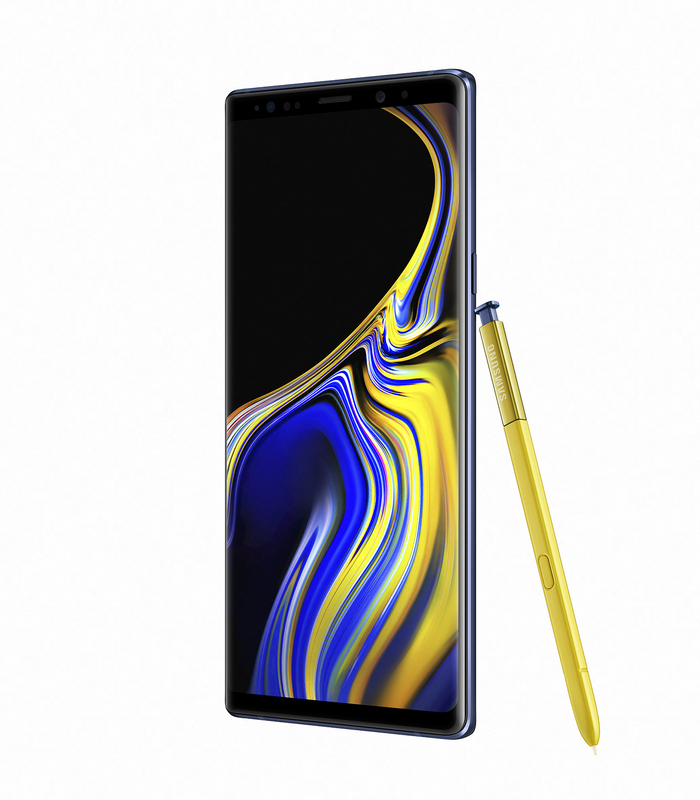 The Samsung Galaxy Note9 endeavors to push the envelope in mobile device productivity and reliability. This new Galaxy Note device adds even more functionality to its iconic included stylus, the S Pen. The Samsung Galaxy Note9 will be available for pre-order at 12:01 AM EDT on August 10, 2018. All versions of the Galaxy Note9 will become available for purchase on August 24, 2018 at major carriers and retailers. The 128GB Galaxy Note9 will go for $999.99 and the 512GB Galaxy Note9 will go for $1249.99. Let’s dive into the highlights of the new Samsung Galaxy Note9. The Galaxy Note9 will be available in the colors Midnight Black, Lavender Purple, Metallic Copper and Ocean Blue. The included S Pens will as usual share the same color of the device. The only exception is with the Ocean Blue Galaxy Note9 which comes with a yellow S Pen. The Galaxy Note9 will sport a 4000mAh battery, the largest ever on a Samsung Galaxy phone. Thanks to the 10nm 64-bit Octa-core processor, the device will be capable of accessing network speeds of up to 1.2 gigabits for second. The device will also sport a Water/Carbon Fiber Cooling System and AI-based algorithm to help optimize performance during intensive processing scenarios. 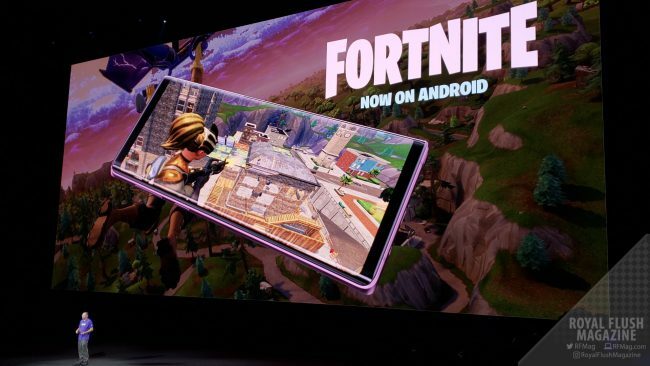 Inspired by this horsepower, Epic Games was sure to team up with Samsung to allow Samsung Galaxy users the first exclusive crack at the Android version of Fortnite for the next 48 hours. Confirmed devices for this exclusive beta include the Galaxy Note9, Galaxy S9/+, Note8, Galaxy S8/+, Galaxy S7, Galaxy S7 edge, Galaxy Tab S4, and Galaxy Tab S3. Hinted at above in the pricing, there will be two meaty storage options, 128GB and 512GB. Each storage option also determines how much memory the device will have, where the 128GB version will house 6GB of RAM and the 512GB version will hold 8GB of RAM. Each purchase option comes with expandable storage via microSD and will support up to 1TB of removable storage. 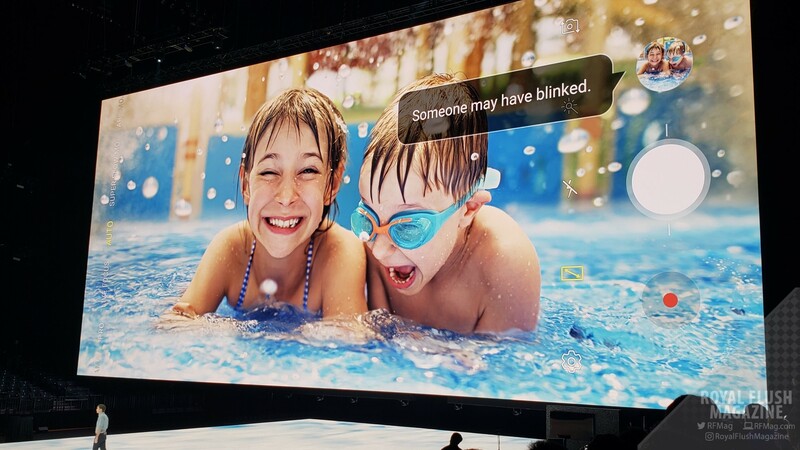 The Samsung Galaxy Note9 uses the same dual camera seen in the Samsung Galaxy S9 Plus. However, the Galaxy Note9 will be backed by new capturing software to support optimized shooting, Scene Optimizer identifies the image the device is looking at and automatically adjusts colors and image settings to take the best possible shot. Flaw Detection shows the user a pop up when the device detects a problem like blurring or blinking in shots. Most notably, the Galaxy Note’s signature S Pen now gets upgrades of its own with the Samsung Galaxy Note9. The S Pen now supports Bluetooth Low-Energy (BLE), granting the S Pen new remote control features. The S Pen with the Samsung Galaxy Note9 can now be used remotely to take selfies, browse PowerPoint slides, control music tracks and more. The S Pen can utilize these new functions for up to 30 minutes and charges back to full power after a minute of being stowed inside the Galaxy Note9. Even if the S Pen’s power is depleted, you can still use all of the traditional S Pen functions that have been introduced to date. †Non-watermarked product shots taken from Samsung’s Mobile Press page.